As 2018 comes to a close, it’s clear that there’s one trend that’s not going away as we head into the new year: the allure of the French girl. From their effortlessly messy hair to the je ne sais quoi fashion sensibility, there is just something undeniable about a chic Parisienne. 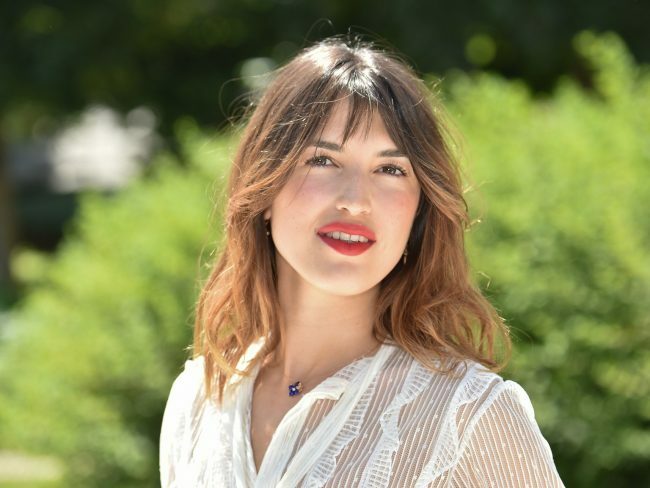 Luckily, one of fashion’s favorite Frenchies, Jeanne Damas, is making it that much easier to cop the look for yourself, with the launch of her first makeup collection. Rouje Cosmetics, which shares its name with her fashion line, debuted last week with a collection of lipstick shades meant to mix and match for any occasion. Here, the multi-hyphenate breaks down her own beauty routine. What are your favorite go-to beauty products? I love coconut oil to moisturize my skin; it’s also the perfect primer for creamy blush or concealer. And lipstick, of course! When you wake up in the morning, what is the first thing you do? Curl my lashes. I do it every day, with no mascara, because I prefer my natural eyelash hair, imperfections and all. Is Meghan Markle Really Breaking so Many Royal Traditions? What is your nightly bedtime beauty routine? I take off my makeup with a cleansing milk, twice with Joelle Ciocco’s routine. It’s really important to do so in order to maintain good skin. My mom, always. And I also love Charlotte Rampling and Françoise Hardy, because they allow themselves to age naturally (with no surgery), which I find rare and so beautiful. What is the best bit of beauty advice you’ve ever received, and whom was it from? From my mom, to wear SPF 50 sunscreen every day of the year and avoid direct sun exposure as much as you can. That’s the secret to aging well. What is the best beauty trick you have picked up on set? To put your blush up very high on your cheeks, right under the eyes. It lifts your cheekbones. And also put some paper or a postcard over your eyelids when you apply a lot of mascara to get extra-long lashes! What is your favorite shade of lipstick? Red when I feel blue, or pink or brown for every day. What is one beauty item you recommend everyone buy? What is your go-to beauty look for a night out? I like to pair a brown eyeliner with a brown shade of lipstick, or just a fuchsia pink lipstick with nothing on my eyes. What is your ideal spa day, and where? I love hammam. The best is La Grande Mosquée, in Paris. What is the biggest skincare rule you abide by? SPF 50 sunscreen and no direct sun exposure.